When I was 11 years old, my parents moved to Kenya to become educators to poor and orphaned children living in that African region. It was a pretty big move for me, moving from my privileged life in North America, and I was incredibly scared. I didn’t know the language, the color of my skin was different than everybody else’s, and I had no idea about their culture or how I could relate to them. I won’t lie, when I was on the plane, heading towards there with both my parents, I couldn’t help but cry out of fear. But all of that was to change on my very first day in Kenya. When we arrived at the school where my parents were going to teach, I saw 13 boys and girls my age gathered in a field outside the school window. I was afraid that they were going to judge me, wouldn’t listen to me and they would make fun of me. But my Mom nudged me towards the window and told me to look at what they were doing. I inched my way closer and to my delight, they were playing soccer. It blew my mind. In the middle of the country in Kenya, there were children my age playing soccer. I had grown up playing soccer, and not to too sound cocky, I knew I was pretty good. I always had a knack for it and my elementary school coach said he saw great potential in me. That day, I gathered my confidence and went out to play with these kids. Even though we couldn’t speak the same language, we laughed and smiled because soccer has the same language worldwide. It has the same rules, the same way to play, and the same amount of fun! I scored two goals and made countless friends that day. 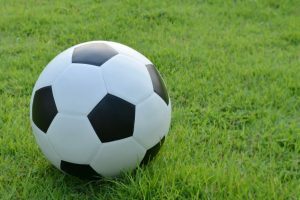 As I grew older my soccer hobby slowly turned towards my soccer passion, even while growing up in Kenya. 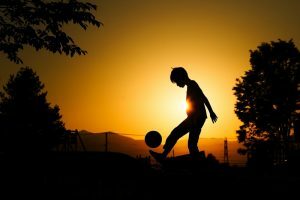 When I wasn’t in school or sleeping, I was outside practicing my soccer skills: dribbling, passing, and shooting. 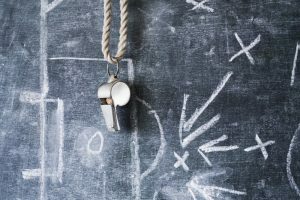 Even though I would practice every single day, there was no coach around to give me tips on what I should be doing better or how to improve my overall game. It was a hard time and there were many times I thought about traveling back to North America to train more. I just didn’t want to leave my family, and had fallen in love with Kenya and the people I was around. That is when I turned to the Internet. These days, we have such power right at our fingertips, and can search and have any question answered within seconds! I decided to search for a soccer training program that I could watch and do from thousands of miles away. When I first started looking, I was overwhelmed. 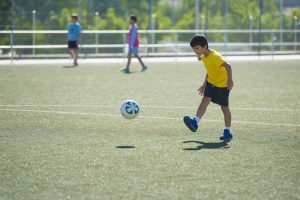 There were so many soccer training programs online, that I didn’t know which one would be most beneficial to me. Some were also so expensive, and I knew I wouldn’t be able to afford it. That is until one day I came across a soccer training program that changed everything for me! I came across “The Epic Soccer Training System” that was put together by the Adidas All-American player Matt Smith. It was completely affordable and had fantastic reviews. I decided it was now or never, and bought it. To say it changed my skills would be an understatement. This system gave me full videos and tutorials on drills I should be doing to strengthen my ability as a soccer player. The best part is I didn’t have to pay a personal trainer each and every week; for one low price, it was available to me right at my fingertips every single day. Matt’s ability to explain certain drills and why we do them, wowed me and it was a type of training I had never experienced before in my life. It has turned my skills from amateur to professional and this is because I committed to the program and stuck with it every single day. 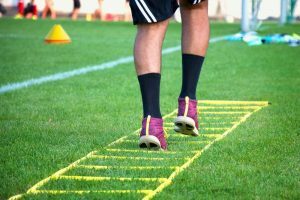 No matter where you are in the world, or what your skill level of soccer is, you always need to be training; this is mandatory to become better. Try using “The Epic Soccer Training System” today. You’ll be glad you did!